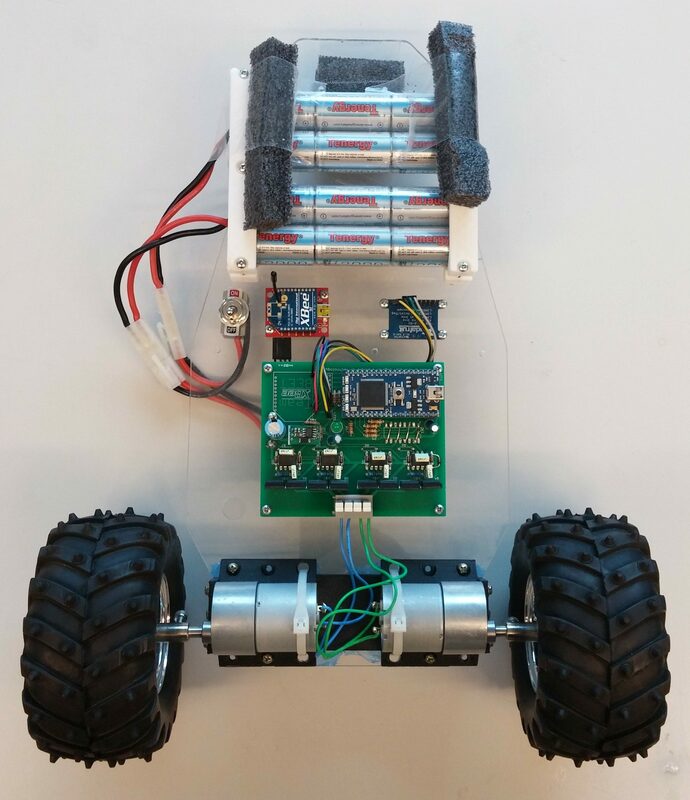 An inverted pendulum robot that uses an accelerometer, gyrometer, and control system to balance on two wheels. I was on a team of two and my part was the hardware and hardware interfaces. 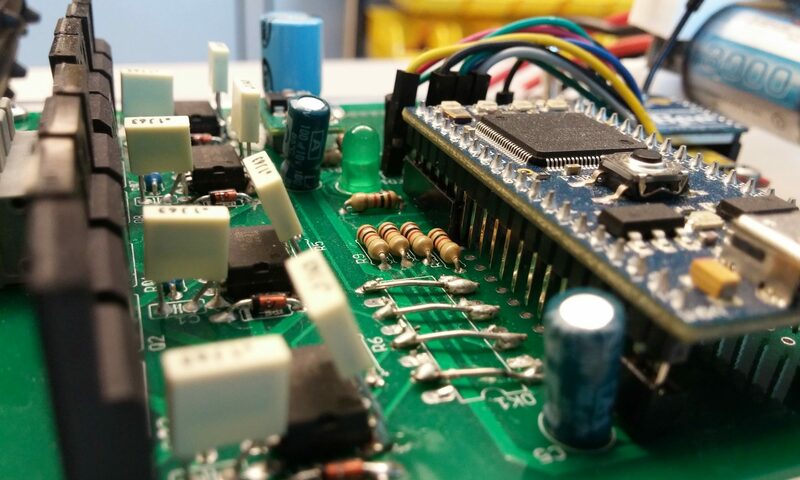 Designed dual mosfet H-bridge circuits for driving the two motors. Created an API for the IMU to configure parameters and convert the raw data into the proper, useable values. Designed a PCB that would accomidate the motor driver circuitry, the arm MCU, the Xbee, and the IMU. Modeled and 3d-Printed a holder for the motors to keep them stable and evenly aligned. 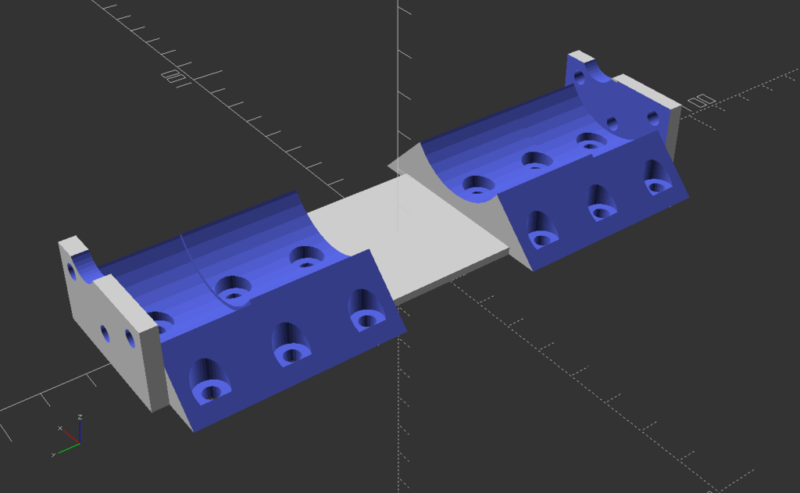 3d Model of the motor mount created in OpenSCAD.